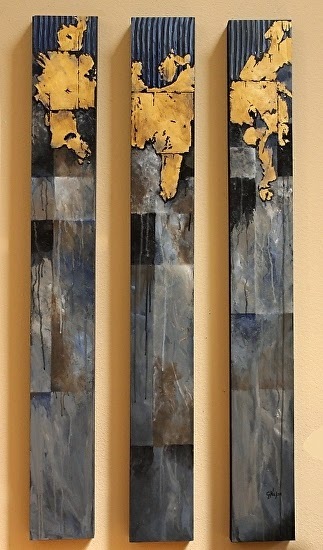 This painting consists of three textured panels, each measuring 48 x 6 inches. Gold metal leaf gives a soft glow which is hard to replicate in a photo. Tones of black, gray, blue-gray, beige and umber complete a muted palette. It arrives ready to hang.